I was so excited to see that there was a new book by one of my favourite Austenesque authors, Joana Starnes. 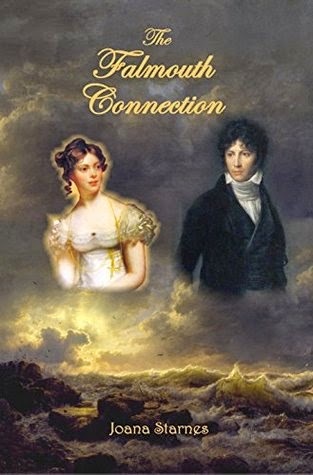 I’ve read and thoroughly enjoyed two of her books this year, ‘The Subsequent Proposal’ and ‘The Second Chance’, both of which mix characters from other Austen books in with our favourites from ‘Pride & Prejudice’, but ‘The Falmouth Connection’ is a variation featuring only characters from ‘Pride & Prejudice’. What if... Elizabeth was called away from Hunsford before Darcy could propose? That is what happens here, an estranged relative of Mrs Bennet has summoned the whole Bennet family to her estate in Falmouth. Darcy is determined to propose and desperate to get a chance to do so before Elizabeth leaves. Elizabeth has to meet her family at Basingstoke, some 80 miles or so from Kent, which has caused the Collinses a dilemma, as they don’t want to send her unescorted. When Colonel Fitzwilliam offers to solve the problem by escorting her en route to returning to his duties in Portsmouth, chaperoned by a maid, his cousin quickly speaks up, and offers to take them both, knowing that this unprecedented behaviour will require some explanation to the Colonel. “Hush, Lydia!” this time Elizabeth and Jane urged, both at once, and Jane stared at her sister in concern, as Elizabeth’s mouth literally fell open. Unable to propose, and slowly coming to the realisation that that the lady he loves might not feel any affection towards him and that she might also be extremely angry with him, Darcy decides that he needs to set things right for Bingley as soon as possible, and moreover, that he needs to head for Falmouth, to see what he can do to recover the situation. There, after a delay in discovering the exact location of the Bennets, he discovers three problems. Firstly, he has a rival for Elizabeth’s affections, his nemesis Wickham is working as a steward at a neighbouring estate, and something very fishy is going on. This was quite different from Joana Starnes’ previous books but I was absolutely riveted by it. Darcy’s slow realisation of the hash he’d made of things was almost painful. Since Darcy doesn’t make his proposal rudely, and knowing and pitying him for his unreciprocated feelings rather than being taken by surprise means that the ‘Hunsford’ moment wasn’t full of vitriol and indignation as in canon, but just utterly heartrending. I thought the emotion in this story was fantastic, Darcy’s despair, Elizabeth’s anger and later her sadness for the pain she’s had to cause, and lots of romance. The story was certainly not lacking in action, and we even got a swordfight! There were also some fisticuffs, which were unfortunately off page, as it involved a character I would love to see being a bit more active! On the downside, I felt that some of the romantic feelings did evolve a bit too quickly, which to be fair, is something that is actually addressed in the book. I would have liked part of the story to take place over a few days rather than a single night so that the feelings could develop at a slightly slower rate. I also wasn’t convinced by one of the pairings without seeing much of the couple together. We saw some character development of two characters in need of it too, Mr Bennet, who realises he needs to question his parenting, and I was also pleased to see Lydia being given a chance to redeem herself, as the life she had committed to in 'Pride & Prejudice' was not likely to lead to much happiness or respectability. I would definitely recommend reading this book; there is action, intrigue, despair, joy, and so much romance. 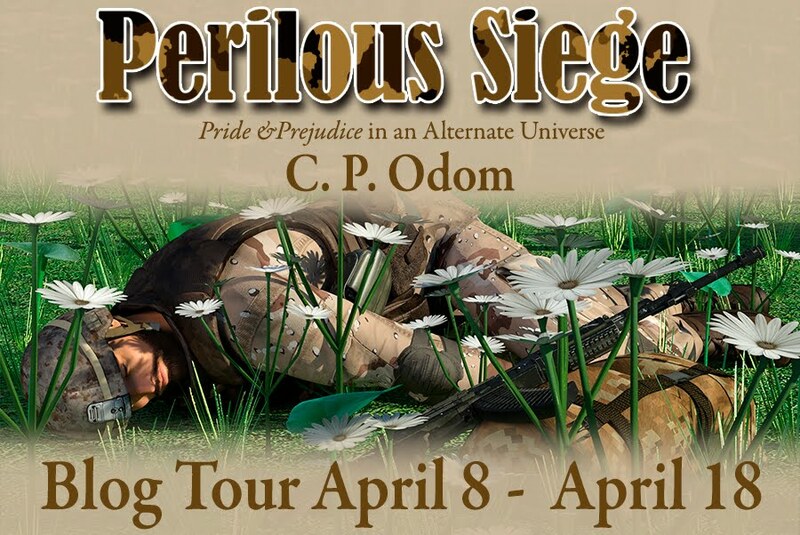 I found it thoroughly enjoyable, and I’d rate it as a 5 star read. *I received an ARC of this book from the author for my honest review. Joana has very kindly offered to give away an e-book of the winner's choice of one of her books to an international commenter on this post. So you could choose 'From This Day Forward', a 'Pride & Prejudice' sequel, 'The Subsequent Proposal' which sees characters from both 'Persuasion' and 'Pride & Prejudice', 'The Second Chance', which features characters from 'Sense & Sensibility' in addition to those from 'Pride & Prejudice', or this book, 'The Falmouth Connection'. Just comment below to enter the giveaway, which is open until Sunday 7 December 2014. Please leave a way for me to contact you should you win, twitter handle, email address etc. To prevent spam, please leave your email address with an (at) instead of an @. Please note this giveaway is now closed. Many thanks to Joana Starnes for sponsoring the giveaway and giving me the opportunity to read 'The Falmouth Connection'! You can connect with Joana via her website, become a fan on Goodreads, or follow her on twitter. This week, we Americans celebrate Thanksgiving. We set aside this one day to be thankful for all the splendor bestowed upon us by divine ordinance, or if you prefer, luck of the draw. We gather our loved ones close, indulge to the point of bursting, and impatiently watch the clock tick down to midnight so we can celebrate the holiday that is quickly supplanting the one of thanks—Black Friday. I am being sarcastic, of course. What most of us are thankful for, I believe, is our family. Whether it is the one we are born into or one we make ourselves, our family shapes us. The best kinds of family challenge us to be our best. The worst kind forces us to be our best in order to rise above the rest. In Dearest Friends, both Darcy and Elizabeth belong to the latter. Austen gives us great familial parallels in canon, primarily with Georgiana/Lydia and Lady Catherine/Mrs. Bennet. We see those parallels in Dearest Friends, too, though they may be a little more extreme. We have Matlock and Mr. Bennet—two estate owners who have failed to lead their family to prosperity. Lady Susan and Mrs. Bennet are both far more concerned with appearances than goodness. Lady Catherine and Mrs. Gardiner are wise advisors, though they dispense their advice a little differently and Sebastian and Mary are both assumed to be one thing, but prove themselves to be something different altogether. As similar as the Fitzwillams and the Bennets are, one thing is jarringly different. When faced with a crisis, one acts while the other flounders. I believe that is the heart of redemption, the willingness to fight versus the inclination to fade. Since so many of us are faced with tables full of guests this week, I thought I would share a scene from a Fitzwilliam family dinner. This did not make it into the book, so you will only see it here. I hope you enjoy it. Happy Thanksgiving. When the entire party was finally awake and assembled around the dinner table enjoying their soup, Darcy leaned over to Elizabeth, who was seated on his left. He felt Elizabeth’s comforting touch on his arm as he looked to his sister, who sat at the end of the table, flanked by Richard and Mrs. Gardiner. A mortified blush had not left her face since Jennings’ outburst, but she was fulfilling her duties with remarkable grace. As Elizabeth supposed, their amusement drew the notice of Lady Catherine, who was seated opposite Elizabeth, next to her still slightly comatose brother. The lady was satisfied for the moment, so Darcy turned his attentions back to his betrothed. Elizabeth looked at him intently, the way she did when she was trying to sketch his character. He had learned that if he only waited a moment, she would ask her question. Darcy looked around to be sure no one was attending their conversation. For once he was glad for the noise coming from his family. “As you can surely have no trouble imagining, I had little assistance adjusting to the role of master. I knew I was largely on my own, so I did not think much on it. I had no time to dwell on the burden because I was too occupied doing the work. I did not realize how difficult it had been or what an isolated life it was until a certain lady laughed at me. Can you imagine such impertinence, to laugh at the Master of Pemberley?” Darcy smiled at the imp by his side who currently feigned shock at such behavior. “The nerve of the girl. I hope she has received a just punishment, sir.” Before Darcy could answer, they were once again interrupted. Though several guests were seated between them, Richard could clearly hear his aunt’s voice above all others and joined the conversation, perhaps speaking louder than necessary. “She is indeed, Lizzy. You will see for yourself when you come home that Richard is exaggerating. She is not mean at all and her pigs are always well behaved. I have often gone down to the kitchen for shortbread and she has not once waved her knife at me.” Georgiana gave her cousin a disapproving glare. Richard brought his napkin to his mouth before the soup he had just placed there could spew forth. When he saw his aunt nodding as if in agreement he could no longer hold back his mirth. He turned to his brother, who was faring no better. As one end of the table roared with laughter, Darcy leaned close to his betrothed. Elizabeth smiled and touched the spot on his face where his dimple should be, were he not seated to dinner with his family. Sigh! Dearest Friends is available to buy in both paperback and ebook formats on Amazon US, Amazon UK and very likely your country's Amazon too. To keep in touch with Pamela you can visit her blog, The Happy Jaffer, follow her on Facebook, or on Twitter. You can also follow Vanity & Pride Press on Facebook, where Pamela and her fellow Austenesque author Cat Gardiner share information. Pamela has very generously offered to give away the winner's choice of an ebook or paperback copy of 'Dearest Friends'. This giveaway is open internationally, and to enter all you need to do is comment on this post. Please leave a way for me to contact you should you win, such as twitter handle, or email address. To prevent unwanted spam, you could write your email address with an (at) rather than an @. Closing date for the giveaway is Tuesday 2 December 2014. - Please note that this giveaway is now closed. This is the latest in the series by Stephanie Barron featuring our beloved authoress, Jane Austen as an amateur sleuth, stumbling across and solving murders. I am a little late to the party on this series, considering this is the first one I’ve read, and it’s number 12 in the series! There are some references to the previous books, but this book is pretty much stand-alone. 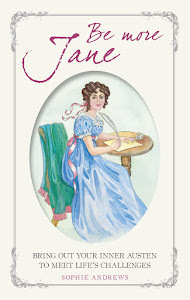 It is set in the year 1814, so Jane is already a published authoress, with 'Sense & Sensibility', 'Pride & Prejudice' and 'Mansfield Park' all in print, and she is working on 'Emma'. 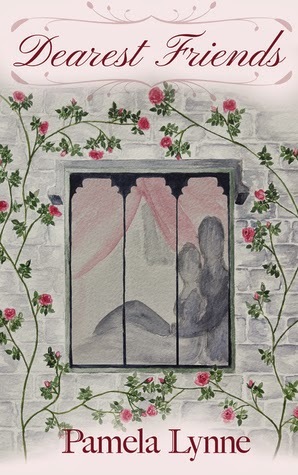 In this story, Jane, her mother and sister Cassandra are due to stay with Jane’s brother, James Austen, and his family, from just before Christmas right through to Twelfth Night. James took over the living as the Rector of Steventon at his father’s retirement to Bath, so Jane would be staying for Christmas at her childhood home. But instead of opening to a cosy family scene we instead join the ladies en route to Steventon; cold, uncomfortable and tired from their journey and weighed down with the sad certainty that although it is cold and snowing James is too parsimonious to hire a covered carriage for them, and they’ll have to complete the journey in an open carriage with snow driving into their faces and spoiling their bonnets. Unfortunately, they meet a carriage coming the other way and end up colliding, in an accident which leaves the Austens’ conveyance undriveable. The occupant of the other carriage gets out to offer assistance, and though he is obviously in a hurry, being a gentleman he can’t just abandon the ladies, so he offers them the use of his carriage while he takes one of the horses and rides to his destination – The Vyne, whose occupants, the Chutes, have long been known to Jane. Just when the Austen ladies are beginning to feel that they cannot face spending a full fortnight with the James Austens and need to make their excuses to leave some days early they are saved by a note from Eliza Chute from The Vyne, inviting them all to come and stay for a few days. The invitation is accepted, and the entire party of Austens travel to The Vyne the next day. There are others at the house party; aside from the hosts, the Chutes, and their household, there are Lady Gambier and her niece and nephew, and the gentleman who lent the Austen ladies his carriage, a Mr Raphael West. Mr West is at The Vyne to take some sketches of William Chute for a portrait. An unexpected visitor also arrives, Lieutenant Gage, who has come to confer with Chute in his government capacity. And so begins a mystery that will take the twelve days of Christmas to solve. There were some lovely touches in this book. It’s written from Jane Austen’s point of view and I felt the author did a good job of capturing her voice, and dry humour. I also really liked to see the family relationships between the Austens, such as the sweet touch of Jane and her sister delivering a new doll’s outfit to their niece on each of the twelve days, and the little humdrum details added like the former dresses used for the fabric of each doll outfit. The tone was also good, although there was the odd word here or there which I think were American English so seemed a little odd coming from Jane’s pen, but from the point of view of seeing Jane Austen as a character and following her around for twelve days I really enjoyed the book. I felt the pace of the novel was a little imbalanced too, as the beginning was slow, but then the ending seemed rushed in comparison. The ending was a little disappointing too, though I suppose it was realistic, but I felt it could have been more satisfying. However, on the whole I really enjoyed this book. The humorous vein provided by Jane’s thoughts and comments was delightful, and I liked spending time with Jane and her family. There were lots of details weaved into the text in relation to everyday things such as the food served which helped bring the story to life. One of my favourite things about reading historical fiction is that it’s an engaging way to learn some history, and there were some interesting snippets in relation to life in the navy, and also references to things happening in the wider world, such as the situation with Bonaparte. I would certainly read other books in this series! * My thanks to the publisher and Netgalley for a copy of this book for my honest review. 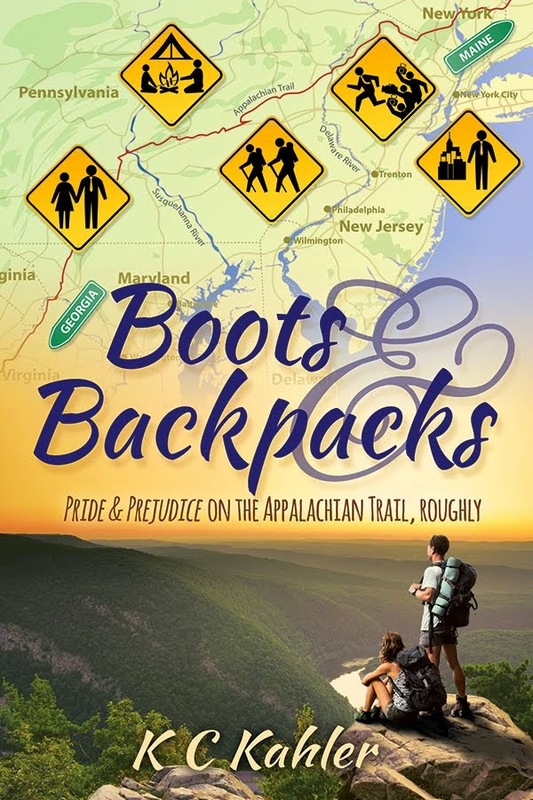 Boots & Backpacks - Winner! I have emailed the winner, so if you don't receive my email please contact me instead. Thank you to everybody who commented, and special thanks go to KC Kahler for the guest post, Meryton Press for sponsoring the giveaway and Jakki at Leatherbound Reviews for organising the blog tour and letting me take part, thank you all! Well I've had such a bad October when it comes to reading! Usually I read about 8 or 9 books a month, but this was down to 4 in September and only 1 in October. Very bad times indeed! I have been so busy at work and added to this there is a restructure happening in my section which is impacting on my job and I've been feeling so stressed that my reading has suffered. It's a real shame as one of my favourite ways to unwind is reading but if I'm very stressed I have trouble settling into a story and enjoying it. However, I am hopeful that things will improve this month as projects come to a close and the restructure is settled one way or another and then I can get back to more reading time! Aside from the lovely books that I've had planned and haven't got to yet, there are a couple of other things I'd like to read this month. 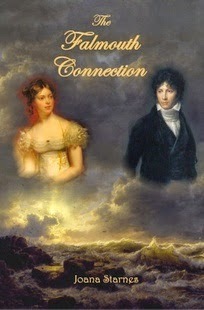 Firstly, I'm planning on reading Joana Starnes' new Pride & Prejudice variation, The Falmouth Connection. In this tale, Darcy doesn't get to propose to Elizabeth at Hunsford as she gets called away to a relative in Cornwall. I have a feeling that I have heard that there are smugglers in this story! It sounds like something a bit different. I've really enjoyed all of Joana's stories (here are links to my reviews of The Subsequent Proposal, a Pride & Prejudice/Persuasion crossover, and The Second Chance which is a P&P variation featuring characters from Sense & Sensibility) so I'm hopeful I'll enjoy this one too. 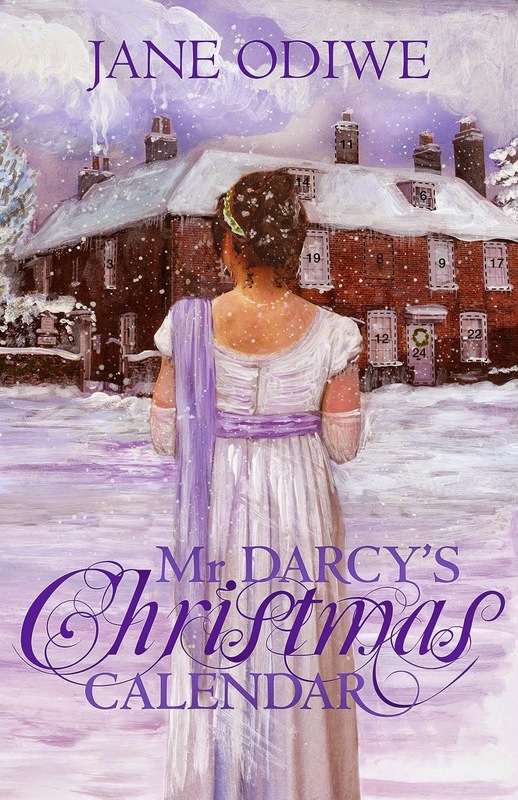 The other book I hope to read is Mr Darcy's Christmas Calendar by Jane Odiwe. 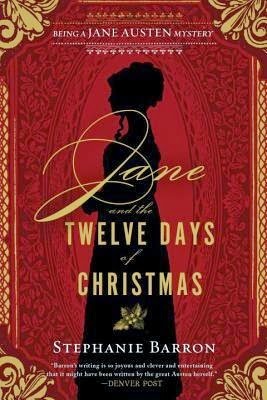 This sounds like such a fun read, featuring a special advent calendar which transports our heroine to the characters of Pride & Prejudice where Mr Darcy is not only missing from the plot but Jane Austen has never heard of him! I hope you have some nice reads lined up this month too!